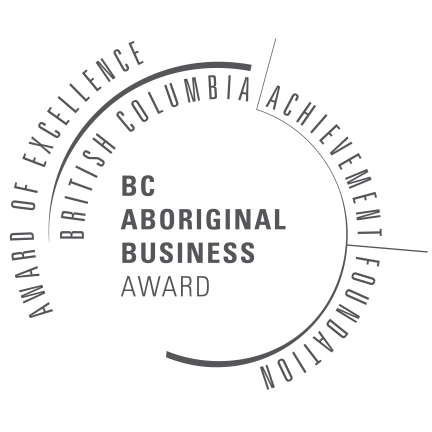 Our success over the past decade stems from our modern, collaborative approach steeped in the knowledge of First-Nations traditions. It is also guided by our strong sense of place, our deep connection to nature, and our collective determination to do what’s right. We build lasting and sustainable partnerships and view our work as a living legacy. We hold ourselves to a high standard and take great pride in achieving more by working together. We take appropriate action—with transparency and a long-term perspective—on every project. Personal and environmental safety is a priority. We are fully certified and use industry best-practices to prepare ourselves for the journey ahead and ensure that we deliver on our promises and exceed expectations. We are greater than the sum of our parts. Each business unit increases our collective value. Our staff are extremely knowledgeable and highly certified in their given area. We gladly share our insights within our team and our wider circle. As a result, we offer unparalleled cultural and natural resource services — and clients of one division often benefit from the expertise of another. Inlailawatash is named after an ancient Tsleil-Waututh village at the northern point of Indian Arm.